Scrum is flexible, transparent and iterative, making it very different from complex traditional project management methodologies. In this article, we will look at the various areas in which Scrum differs from other methods. 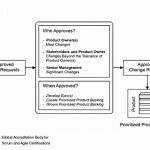 Organization structure and definition of roles and associated responsibilities are some of the areas where Scrum differs in a major way from traditional project management methods. In traditional project management methods, the organization structure is hierarchical and authority for all aspects of the project is delegated from higher level to lower (e.g., project sponsor delegates authority to project manager and the project manager delegates authority to team managers or members). Traditional project management methods emphasize on individual accountability for project responsibilities rather than group ownership or accountability. Any deviation from the delegated authority is looked at as a sign of issues and may be escalated to the higher level in the organization hierarchy. It is usually the project manager who is responsible for successful completion of the project and he/she takes decisions on various aspects of the project, including initiating, planning, estimating, executing, monitoring and controlling and closing. 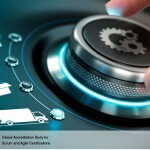 The emphasis in Scrum is on self-organization and self-motivation where the team assumes greater responsibility in making a project successful. This also ensures that there is team buy-in and shared ownership. This, in turn, results in team motivation leading to an optimization of team efficiencies. Product Owner, Scrum Master, and the Scrum Team work very closely with relevant Stakeholder(s) for refining requirements as they go through the Develop Epic(s), Create Prioritized Product Backlog, and Create User Stories processes. 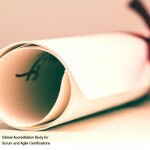 This ensures that there is no scope for isolated planning in Scrum. Team experience and expertise in product development are used to assess the inputs needed to plan, estimate and execute project work. And collaboration among Scrum Core Team members ensures that the project is carried out in an innovative and creative environment that is conducive to growth and team harmony.